97.5 NOW FM & Azzi Jewelers Naughty Or Nice Valentine's Day!  97.5 NOW FM & Azzi Jewelers Naughty Or Nice Valentine’s Day! 97.5 NOW FM is getting you ready for Valentine&apos;s Day this year with Azzi Jewelers! The only question that remains is... Are you "Naughty" or "Nice"? Listen to 97.5 all this week for your chance to call in and win a Valentine's Day prize package with help from our friends at Azzi Jewelers! Everyone who wins will need to answer one question about their prize package... do you want it to be "naughty" or "nice"? You pick whether you want the "naughty" or "nice" prize package this Valentine's Day, just know that either way, you win! The "Naughty" prize package comes with a gift certificate to Azzi Jewelers, a gift card to the Deja Vu Love Boutique, and movie passes from NCG Eastwood Cinema for "Fifty Shades Freed". The "Nice" prize package comes with a gift certificate to Azzi Jewelers, a gift certificate to Delta Flowers, and a Dream Cake from Bake N' Cakes! And, it doesn't matter if you pick "naughty" or "nice". Everyone who wins a Valentine's Day prize package is also in the running to win a suite at the Causeway Bay Hotel! Stay tuned to 97.5 NOW FM for your chance to win this Valentine's Day!